Collecting data is a critical aspect of any business. It helps the industry gather relevant information for taking essential business decisions. A study done by Helical IT survey says that business decisions made through data collection have 79% higher chances of being successful. Well, this makes the importance of data collection quite evident. It is where big data analytics services play a vital role. Big data analytics solutions help in user behavior identification. Because, for being successful in the long run, it is essential to analyze the collected data. After all, proper research and analysis are required to make data-driven decisions. It wouldn’t only make the business sustainable but, also give it an edge over competitors. So, how does a business analyze the data? Especially when the volume of data is significant? No idea? Want to know the details? Well, it is done through enterprise search software like Elasticsearch, Sphinx, Apache Solr, etc. However, Elasticsearch stands out amidst all its counterparts. It is the best of big data analytics solutions. Wondering what makes it the best? Well, Elasticsearch’s installation and work procedure are straightforward because of its built-in REST API. And if that’s not enough, it also can expand to hundreds of nodes without any additional software required. Imagine how it will help you take the best rational business decisions. Still on the fence? Willing to dive in deep in the world of Elasticsearch? Well, let’s take a look at its key benefits then. Here we go. Since Elasticsearch performs work through a simple restful API, it makes data collection very easy. From high-end client libraries for a plethora of programming languages to seamless document navigation, Elasticsearch can improve the user experience of various applications. Moreover, apart from giving query results in no time, it also helps companies in reducing the update time of databases from days to hours. 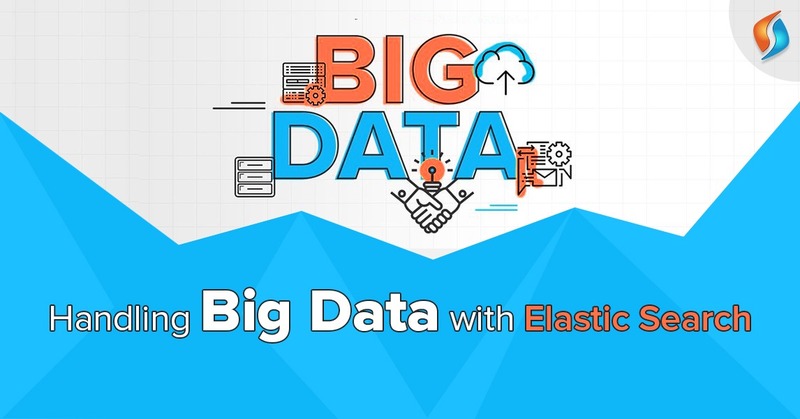 So, you see, how Elasticsearch can help you in big data analytics services like a pro. Dynamic analytics is crucial to get hold of customer’s wants and preferences. From website visits and navigations to buying behavior and shopping cart use, powerful analytics gives real-time customer data for analysis. This, in turn, helps businesses to respond to the changing customer behavior quickly. This is where Elasticsearch for enterprise search implementation can come in handy. It accelerates the speed of search while combining it with real-time data-driven analytics. As a result, it works wonders for streamlining business and improving the products and services offered. Data indexing is the process of managing some records based on multiple fields. And Elasticsearch with its documented and schema-free approach makes data indexing easy. It comes with the ability to save complex real-world entities in the form of well-structured JSON documents. All a business needs to do is index a particular JSON document and everything will be sorted. From detecting the data structure and creating an index to making the data searchable and customizing the indexed data, Elasticsearch technology does it all. To put it in other words, it makes the overall managed search services very simple by escalating the speed of the whole data retrieval process. A full-text search helps search technologies to examine and analyze every possible word stored in any document that matches the search criteria. Elasticsearch makes use of this feature like a pro by building distributing capabilities on the top of Apache Lucene. Elasticsearch works a great deal in identifying and analyzing failed nodes. This, in turn, makes the data reorganized and re-balanced while making it safe and easily accessible. Hire the best big data and analytics solutions provider in India! In a nutshell, Elasticsearch is a great tool for managing big data and reducing the query time of customers. And, this is what you need to improve the customer experience, right? So, if you haven’t already started leveraging Elasticsearch, it’s high time you do it and stay ahead in the competition. Wondering how you can get the best big data analytics services? Well, look nowhere when Signity Solutions, a leading custom web development company in India, is here. We have years of experience in providing big data analytics services improving user experience through the extensive use of Elasticsearch technology. Feel free to reach us anytime, and we will revert at the earliest.